On March 31, 2005, Terri Schiavo died, after her husband, Michael Schiavo, won the right to remove the feeding tube that had sustained her life since she slipped into a coma on February 25, 1990. The Schiavo case had been argued in the courts beginning in 1993. 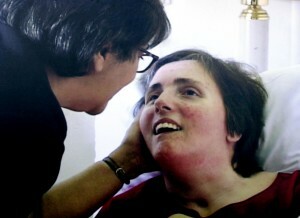 During 2003, Florida governor Jeb Bush, brother of President George W. Bush, intervened against Michael Schiavo, and as state and federal courts repeatedly upheld Michael Schiavo’s right as his wife’s guardian to remove her feeding tube, Congress, shortly after 12:30 a.m. on March 21, 2005, passed a private bill granting Schiavo’s parents the right to continue suing for the maintenance of the feeding tube and to order reinsertion of the feeding tube while the suit was pending. President Bush signed the measure at 1:11 a.m., but a federal district court refused to order the tube reinserted, and the U.S. Supreme Court refused to hear the parents’ appeal.